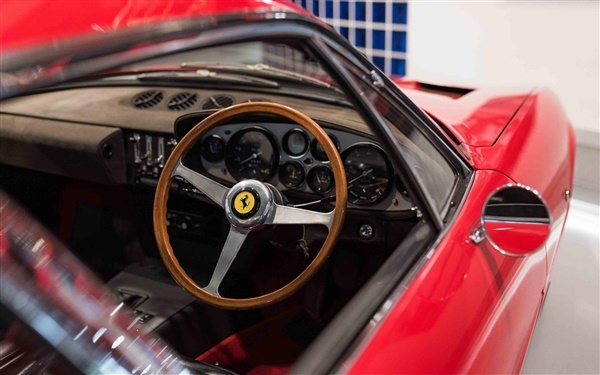 Manufacture ran from 1968 to 1976, throughout which time a total of 1,406 examples are understood to have been built 1,269 road-going Coupes and 122 Spiders. 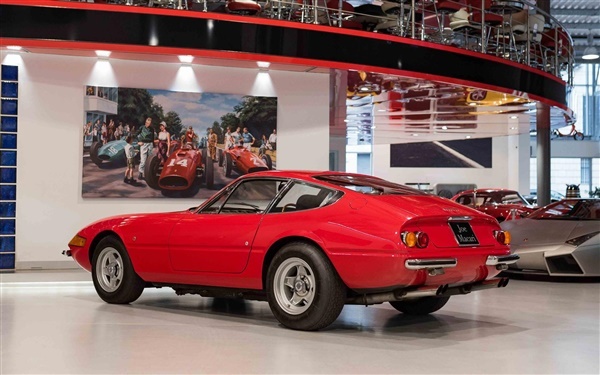 Of the total, 158 Coupes and just seven Spiders were produced in right hand drive form. 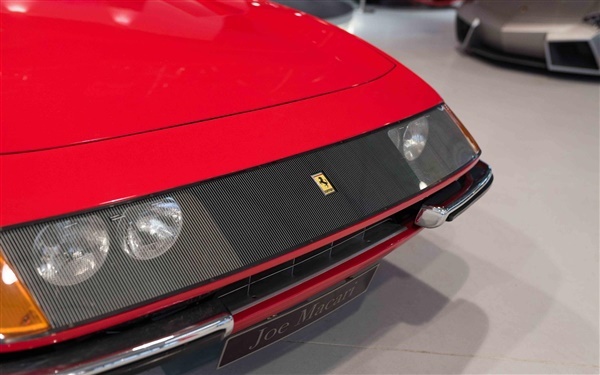 However, early versions of the model featured a full-width Plexiglass cover for the twin headlights, and the car we are offering is one of the 35 (approx.) 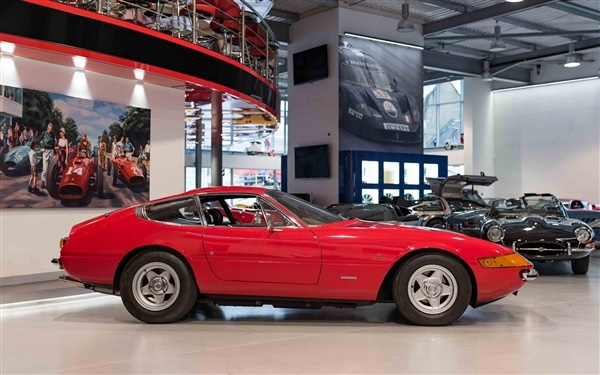 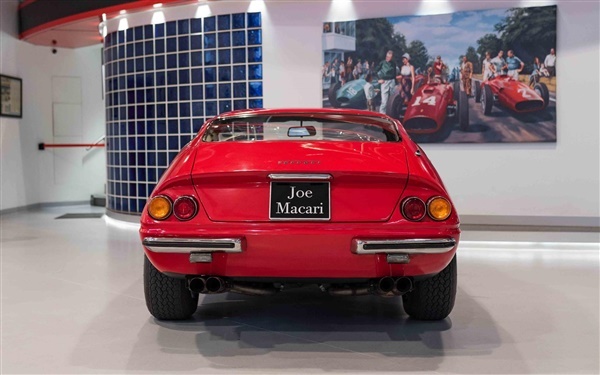 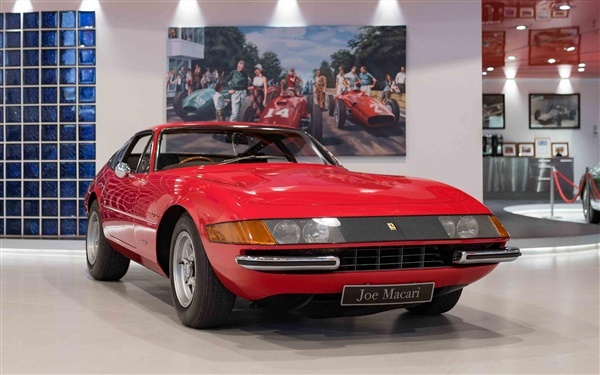 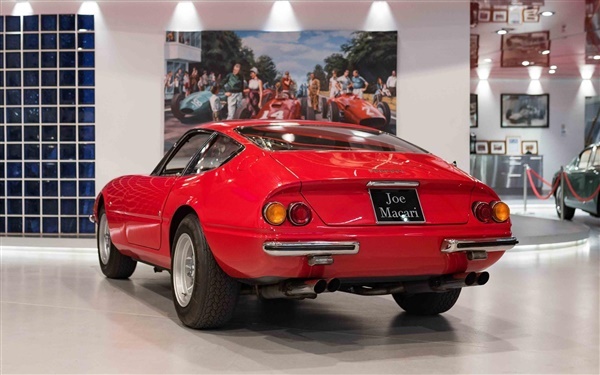 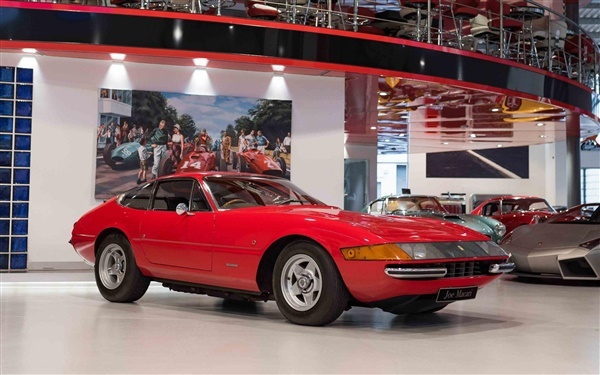 RHD UK delivered cars.Chassis number 12853 initially left Maranello on the 3rd September 1969 and was sold through Col. Ronnie Hoare to Lord Cowdray. 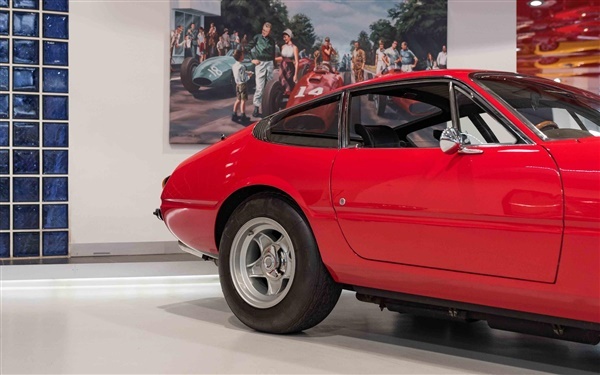 It remained in England until 2003 where it went to a large Danish Collection.The car has since returned to England and it sits today in very good condition. 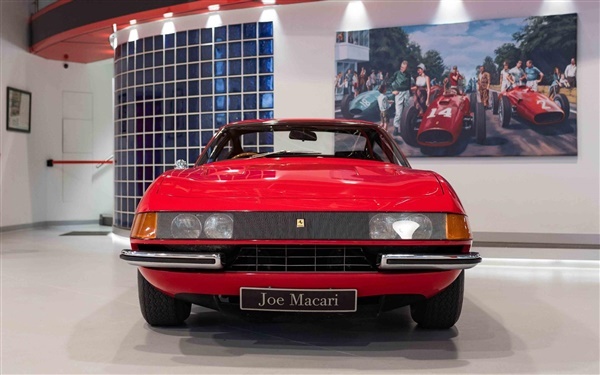 It has been awarded Ferrari Classiche Certification to supplement its already strong history file which includes a Massini report, period correspondence, plus many MOT's and also invoices for various works.